With a 3-layer non-woven polypropylene fabric, Covercraft’s Block-It® 200 Series covers offer your car great protection from outdoor and indoor elements, all at a reasonable price. The custom patterned, grey colored fabric is the perfect choice if you’re looking for limited outdoor use. These covers come with a two-year limited warranty and are moisture resistant. Order your lightweight, easy to use cover here. Covercraft’s Block-It® 380 Series covers offer all-round general protection for your car. The three-layer SFS film barrier fabric offers protection from moisture and dust. Suitable for both indoor and outdoor use, these covers are custom made to fit your car. Lightweight and moisture resistant, they are easy to use, come with three-year limited warranty, and won’t shrink or stretch. To own this cover in attractive Taupe shade, click here. 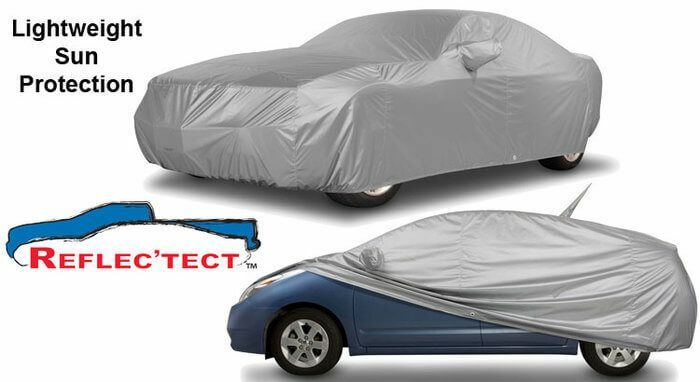 The Reflectect™ Custom Fit Car Cover is developed to provide high levels of protection against the most extreme weather. The urethane-coated polyester fabric comes with a UV reflected silver colored finish that helps to keep your car cooler. The all season cover is water and mildew resistant and repels dust and dirt. This lightweight and compact cover comes with a three-year warranty and is manufactured to ensure an exact fit. To gift your car a cover with a longer effective life, place an order here. If you’re looking for a durable, affordable and reliable car cover that perfectly fits your car, you need not look beyond Covercraft Evolution® (Technalon®). 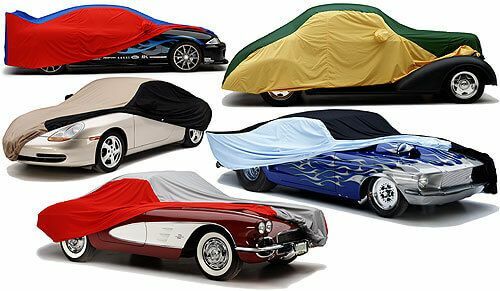 These custom fit car covers are made of popular all-weather fabric and come with dent protecting four-layer construction. Made using strong polypropylene fibres, these covers are water and dust resistant. A perfect all-weather cover, it comes with a four year limited warranty. The NOAH® Custom Fit Car Cover uses a tough composite four-layer fabric that offers all-weather protection. The non-woven fabric comes with a film barrier edge for maximum dirt/dust and moisture resistance. Offers breathability and at the same time helps protect against dents due to the multi-layer construction. With a warranty period of four years, this cover is available in a grey color. To buy this innovatively designed and manufactured cover, shop with us. 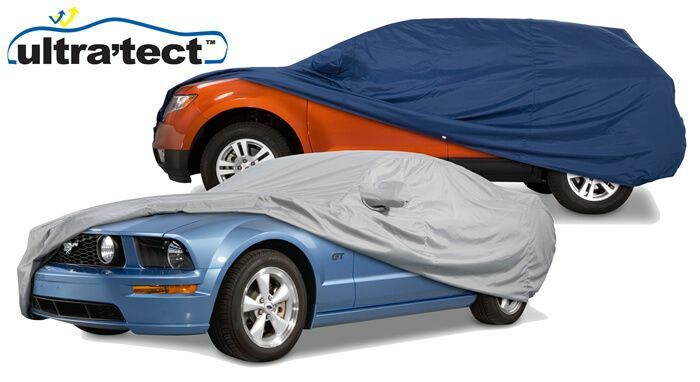 Ultratect™ custom fit car covers are made from a solution-dyed WeatherMax®SL fabric, which makes them fade resistant. They offer superior shape retention and excellent UV protection. Very easy to use and clean, these covers are water resistant, too. Available in four shades, this range of covers offer you peace of mind, thanks to the four year limited warranty. The WeatherShield® HP Custom Fit Car Covers come in a unique fabric that offers superior weather resistance in all climates. The UV resistant, highly breathable fabric makes for a compact cover that is lightweight and easy to use and store. The cover is highly fade resistant and does not compromise on durability. With a warranty period of four years, this all-weather protection cover is resistant to rain and dries in no time. To place an order, visit us here. Covercraft are the masters of custom fit, weatherproof car covers. The WeatherShield® HP Two-Color comes with superior drying ability, ease of use and better protection. Although dust-proof, the breathable cover allows heat and condensation escape easily. The cover is durable and lightweight. It is scratchless and stops dirt, dust and bird droppings from spoiling your car. To choose the colours and place an order, click here. 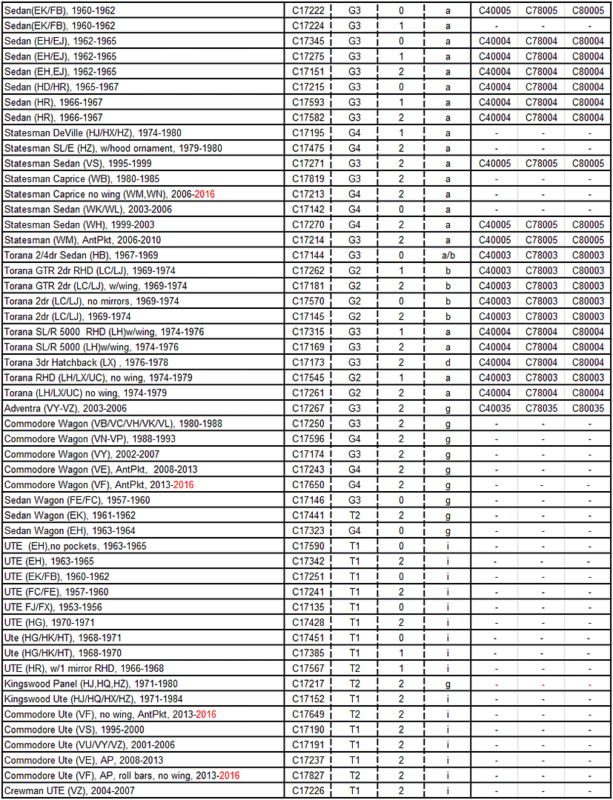 WeatherShield® HD Custom Fit Car Covers see a big improvement on the original Weathershield fabric. With a patented immersion finish, this heavy duty cover is made up of solution dyed fibres that can resist fade. Resistant to water, dirt and dust, the advanced textile engineering property of the cover does not compromise on the quality of breathability. With a five-year warranty, this superior all-weather protection for your car is a great choice. 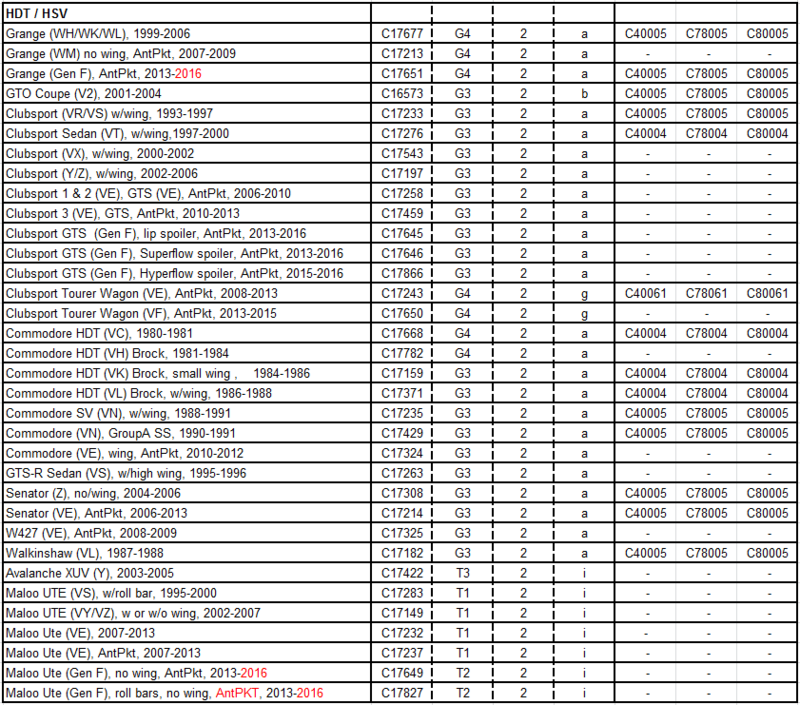 For more details, visit us here. If you need a traditional touch in your car cover, go for the Flannel custom fit cover from Covercraft. Made from traditional woven fabrics, these covers are ideal for indoor protection. A classic indoor cover, it is super soft with napped underside finish. Made of a strong polycotton blend material, it offers durability. These covers are treated to resist rot and mildew. They are water resistant and breathable, too. The soft fabric is a four layer non-woven composite which provides a high degree of dust and dent protection. 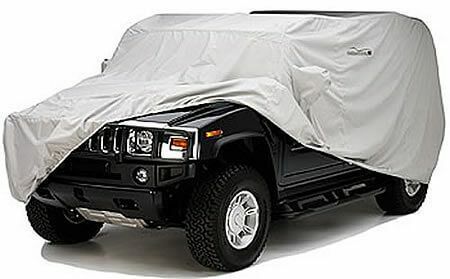 The Dustop™ Custom Fit Car cover has a soft inner layer which protects the fine paint finish. It is light and easier to handle, and comes in taupe and grey woven fabrics. It comes with a four year warranty. To get your hands on the finest indoor protective cover, contact us. If you are looking for exotic, custom fit covers for your car, the Form-Fit® covers from Covercraft are just the thing. They offer ultimate in indoor protection, thanks to the body-hugging polyester knit fabric and Spandex, which provide stretch and shape recovery. The cotton terry loop on the underside offers protection to the paint. A perfect indoor cover, the Form-Fit® cover is available in six attractive shades. Choose your colour and place the order here. 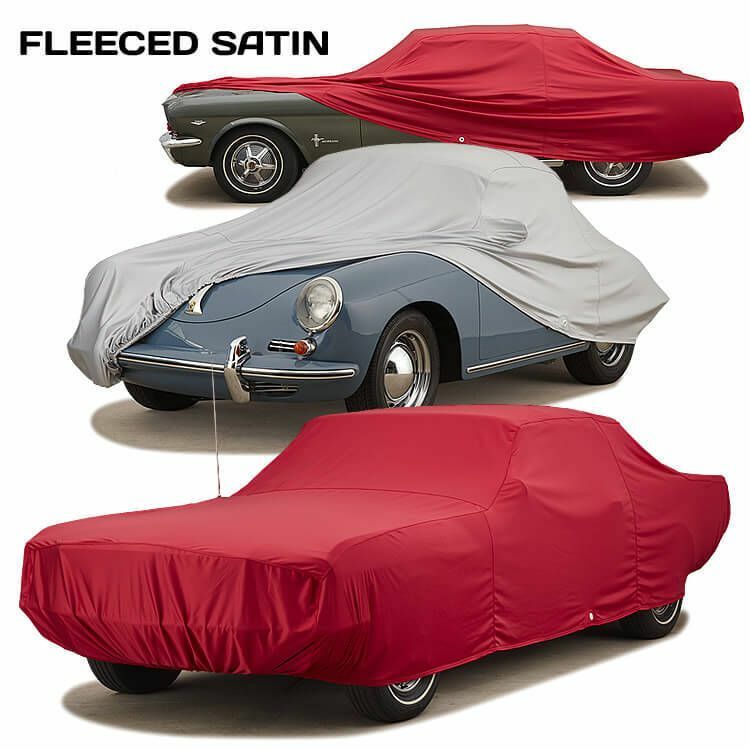 For that soft, stretchy indoor cover that hugs every profile of your car, go for Fleeced Satin Custom Fit Car Covers. This features a woven polyester outer shell which is available in three colors – red, gray and black. It also has a super soft white nylon fleece finish on the inside. This super light cover has a two year warranty and is an excellent choice for indoor use. For more details, get in touch with us here. Covercraft car covers are available to suit a huge range of vehicles. 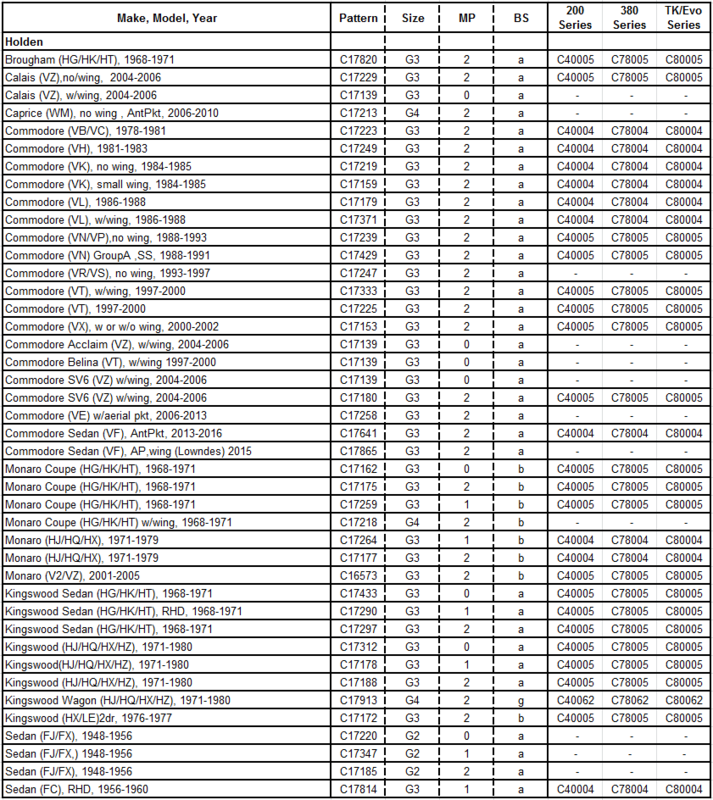 If yours isn’t listed below, chances are we’ve got you covered. Contact us for more information. LOVE these covers. Brought the Form fit cover for the charger and it fits like a glove!! Keep up the good work guys! Whatever women do they must do twice as well as men to be thought half as good. Luckily, this is not difficult. Cleaning alloy valley cover, timing cover and water pump.